The annual GMHL trade deadline has come and gone. The Nationals found themselves to be very busy on Monday as four players were acquired to the roster for the remainder of the 2019/20. The first splash saw the Nationals loaning top forward Mikhail Frolov to the Bradford Rattlers for the remainder of the season and playoffs. 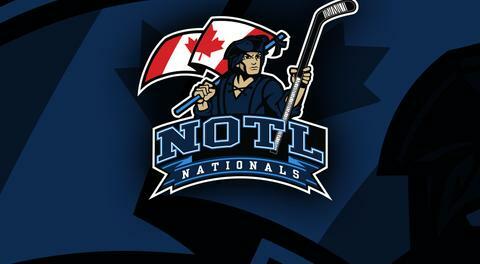 The Nationals also traded forward Trentin Dixon to the South Muskoka Shield. Defenceman Cole Beneveto was released by the club making him a free agent for other teams. As space was made it allowed the Nationals to make some additions to the lineup. The first move saw the Nats Signing free agent Evan Ridley(Forward 1999 Hillsburgh, ON) who previously suited up for the GOJHL Thorold Blackhawks and PJHL Dunnville Mudcats. Nationals GM Jake MacNeil said this about Evan “Ridley was a no brainer as he adds great depth to our team as well as a great shot release with good foot speed”. However the Nationals weren’t done just yet as they added Hart Cargo(Forward 2000 Oakville, ON) who is a former Dunnville Mudcat and GOJHL Fort Erie Meteor. “Hart is a young player but plays a solid game. He can produce when given the opportunity and has a knack for finding the net” Macneil stated on this Signing. Right after that the Nationals proceeded to add Nicholas Brake(Forward 1999 Erin, ON) who’s suited up with the Niagara Riverhawks of the PJHL this season. “Nicholas brings a big frame to our lineup and just add some more depth to our team”. Just as the Nationals thought they were done one last move was made just minutes before the clock hit twelve. The Nationals acquired via trade with the Niagara Whalers Colt Jaime(Forward 1997 Oakville, ON) which was the biggest move according to Macneil. “Adding a player like Colt is amazing. An experienced junior player with tremendous skill who will be a top player for us as we inch closer to playoffs”. MacNeil believes that with these additions the team truly is a dark knight heading into the playoffs and believes they could pull off some upsets. The newest additions will debut this weekend as the Nationals play the Whalers in Port Colborne Friday followed by a home game Sunday!